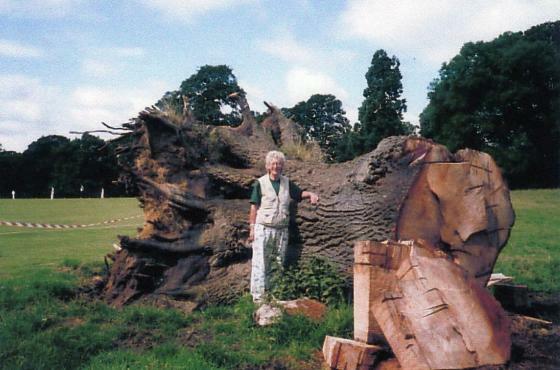 Marion Vincent, the Natural History Heritage Warden for Rothley, started this project on the 27th October 2001 with the aim of recording all the fields in the Parish of Rothley and making general observations. Since then, photographs have gone from film to digital with quality not always as desired. However, it is the only way to give an impression of the landscape that we have from that time to what we have in 2013 and the many changes that have taken place. The sites have taken many hours to scan in and the project is not yet complete. It is now intended to record if the sites are still there and what has happened to them. The sites have all been given numbers in the order that they were visited. Old Field Names have been used where possible to give a description to the Site Number. Those without an old Field Name have been identified with a substitute name. Field names can be difficult where fields have been sliced through by new roads as you end up with 'Lost Corners'. The numbering starts at Site 101 and ends at Site 314 (April 2013). If there are interesting ancient trees on private property or old ponds then these sites have also been recorded, often as a group site e.g. Westfield Lane. I would like to record my thanks to all the farmers and landowners in Rothley for giving access and taking such an interest in my project. No-one refused permission and everyone was very helpful with information and generous of their time. Finally, a very big thank you to my friends Brian and Janice Verity, Terry Sheppard and Lesley Walton for accompanying me in all weathers to muddy and cold sites, holding tape measures whilst fighting off the brambles and thorns and tolerating my delight at discovering another ancient tree and another field pond. The Heritage Warden Scheme was initiated by Leicestershire County Council and driven by a superb team based at the Holly Hayes Resources Centre, Birstall Road, Birstall, Leics. The Heritage Lottery Fund supported the project over five years from when it was launched on the 21st October 2000. The work that has been done in many parishes is all thanks to the team at Holly Hayes and financial support from the Heritage Lottery Fund. XHTML 1.0 validated. WCAG compliant. Page generated in 0.1304 seconds.